We provide emergency and urgent care services throughout the day at our hospital. 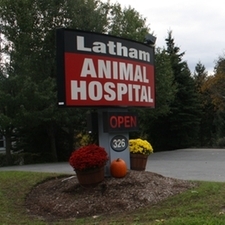 Our Latham office is open extended hours on the weekends (1-6 on Saturday, and 8-6 on Sunday) to meet your pets' needs. In case of after hours emergency, please contact Capital District Veterinary Referral Hospital at 518-785-1094 or Upstate Veterinary Specialties and Emergency Care at 518-783-3198.